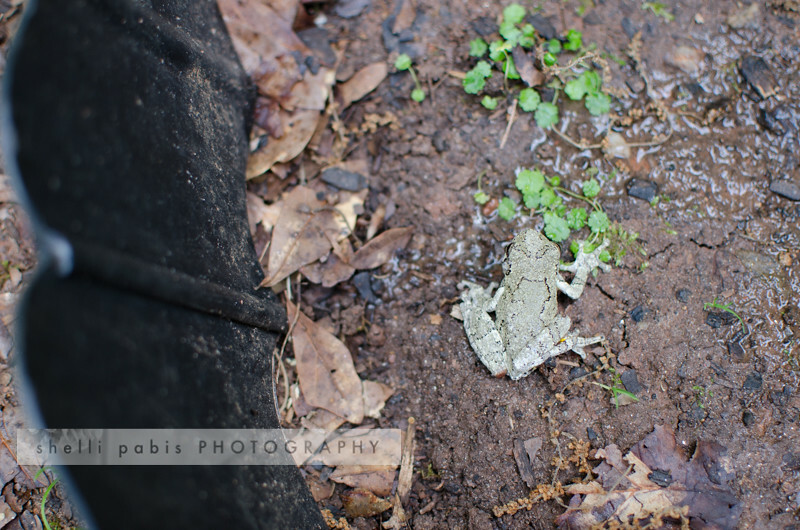 You’ll never guess where we found this beautiful little frog! It was in our upstairs bathroom! We have no idea how it got there. This is actually the second time we’ve found a frog inside our house. Both times, we thought perhaps our dog had brought it in and dropped it, but now I’m wondering if somehow they came up through the toilets. That’s the only pipe large enough for them to fit through, and somewhere I heard that can happen. But who knows? He appeared quite healthy and undamaged but also a little bewildered. We caught him, put him in a little bowl with some water to hydrate him and then released him immediately in our front yard. 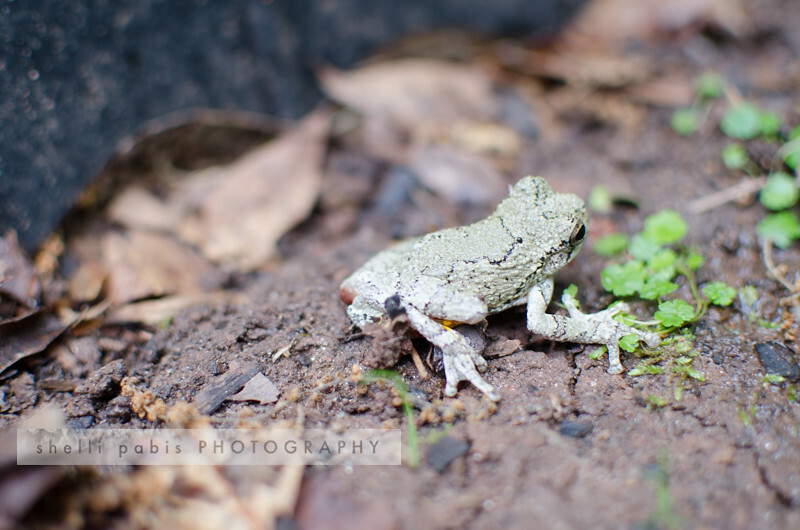 I was able to identify this little guy as a Cope’s Tree Frog. The inner thigh is bright yellow or orange, and if you look closely at my photo, you can see a spot of yellow under his hind leg. 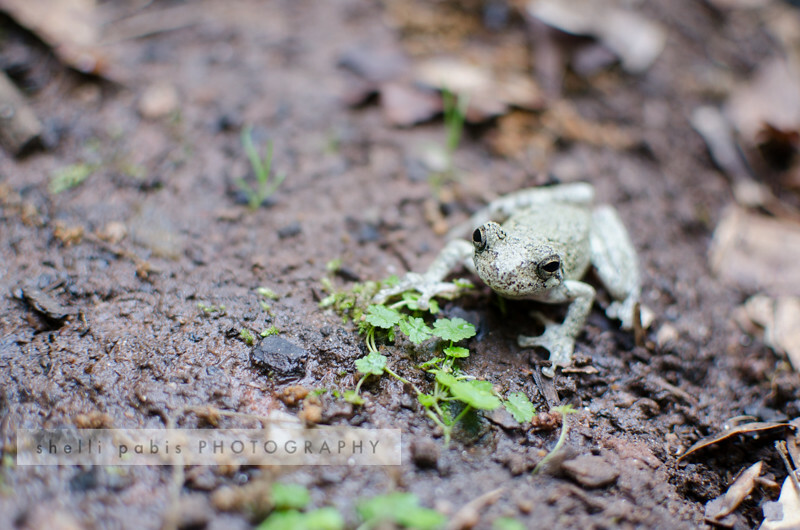 This frog is small and still growing. Hopefully he found his way up to the top of a tree where they like to live.